Plant galls are fascinating things. A gall is an abnormal growth produced by a plant or other host under the influence of another organism. These causal organisms are usually fungi or invertebrates, but may also be bacteria, viruses or phytoplasmas. 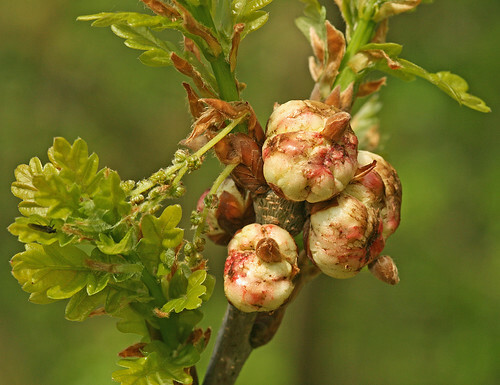 Some galls are very noticeable, such as the oak apple (see pic); others are so insignificant looking that they are easily overlooked. My dad has been a long-time gall enthusiast and recently gave me membership to the society. This website isn’t extensive, but I find it very useful.